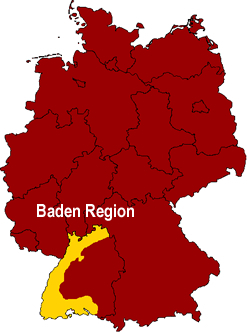 The region of Baden was a former German state (1806-1945). Today it is found within the German state of Baden Württemberg. 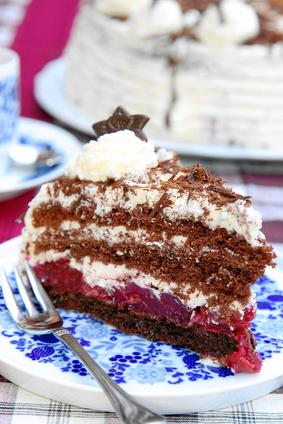 Baden is known for the Black Forest (Schwarzwald) as well as being a "culinary paradise." Cooking in Baden has been influenced by it's neighbors, France and Switzerland. Likewise, the region's fertile soil and warm climate has always provided an abundant selection of foods, giving locals the ability to create a wide variety of delicacies. A list of popular foods and dishes in Baden are listed below.